This Jaguar F-PACE has a powerful Intercooled Supercharger Premium Unleaded V-6 3.0 L/183 engine powering this Automatic transmission. WHEELS: 22 15 SPOKE GLOSS BLACK (STYLE 1020) -inc: satin black inserts, Tires: 265/40R22 M+S All-Season, TECHNOLOGY PACK -inc: Radio: Meridian 825W Digital Surround Sound System, 16 speakers, subwoofer, AM/FM radio, SiriusXM satellite radio, dynamic volume control, Bluetooth connectivity and streaming and voice control, CD/DVD Player, Full TFT Interactive Driver Display, SMARTPHONE PACK -inc: Apple CarPlay, Android Auto. 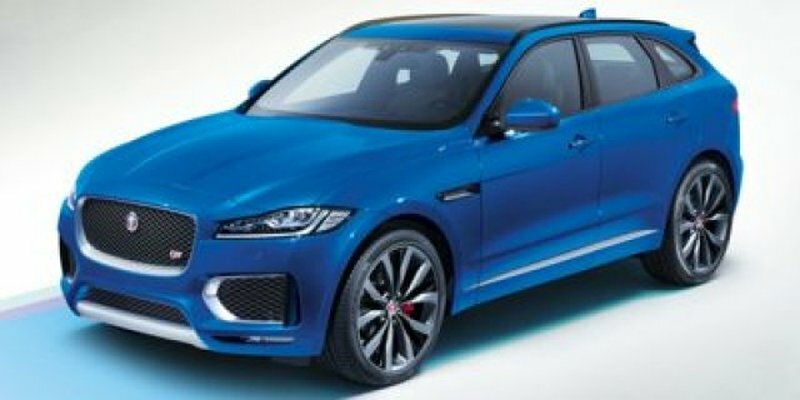 * Drive Your Jaguar F-PACE S in Luxury with These Packages*S BLACK EXTERIOR PACK -inc: gloss black side vents and body-coloured door claddings w/gloss black finishers, Gloss Black Grille w/Gloss Black Surround, S Rear Bumper w/Gloss Black Valence, MEMORY PACK W/PERFORMANCE SEATS -inc: 14-Way Electric Front Performance Seats w/Memory, electric fore/aft (2), electric bolster (2), electric cushion height (2), electric cushion tilt (2), electric squab recline (2), electric lumbar adjust (4) and driver seat memory adjuster w/mirror position and steering wheel (if power adjustable column fitted), Climate Front Seats, heated rear seats, Integrated Front Headrests for Performance Seats, ILLUMINATED METAL CARGO SPACE SCUFF PLATE, HEATED WINDSCREEN W/HEATED WASHER JETS, HEAD-UP DISPLAY, HD RADIO & SIRIUSXM SATELLITE RADIO, GLOSS BLACK ROOF RAILS, DRIVER ASSIST PACK -inc: Blind Spot Assist, Adaptive Cruise Control w/Steering Assist, Gloss Black Grille Insert w/Satin Chrome Surround, Rear Traffic Monitor, Park Assist, 360 degree parking aid, 360 Parking Aid, High-Speed Emergency Braking, 360 Surround Camera, forward traffic detection and forward vehicle guidance, COMFORT & CONVENIENCE PACK 2 -inc: Gesture Tailgate, Rear Seat Remote Release Levers, Electrically Reclining Rear Seats, Climate Front Seats, heated rear seats, CARPATHIAN GREY PREMIUM METALLIC, ACTIVITY KEY, Voice Recorder, Valet Function, Trunk/Hatch Auto-Latch, Trip Computer. * Visit Us Today *You've earned this- stop by Jaguar Land Rover Lakeridge located at 280 Achilles Rd, Ajax, ON L1S 7S3 to make this car yours today!Prices include all fees except licensing and HST.